For my mom who LOVES Fairies. She has a whole fairy room so I made this to go in her room. 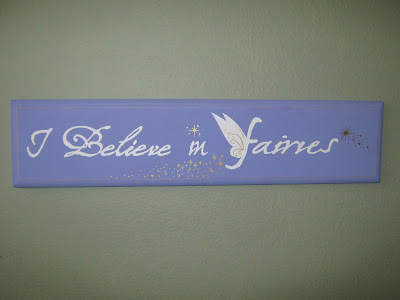 I used Stone Script, TinkerBell and Friends, Home Decor, and Design Studio. 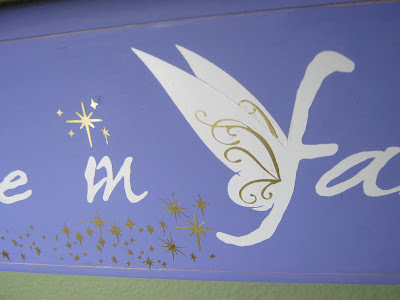 I welded wings onto the F and cut out gold swirls from Home Decor and using transfer paper I placed them on the wings. I LOVE the way the gold fairy dust turned out. I thought it would be really hard to get on the board but I placed it on the wood using transfer paper and it was SOOOO EASY! It's BEAUTIFUL, Jenny!! Your mom is going to adore it!!! hugs!! I finally got to see it! I turned out super cute. Your mom will love it!! That´s awesome, Jenny! It looks like a fairy made it. Isn´t your daughter jealous? I´m so sure your mom will love it. this is gorgeous! so pretty and very detailed! love it!! !